July Family fun activities for the whole family to enjoy. 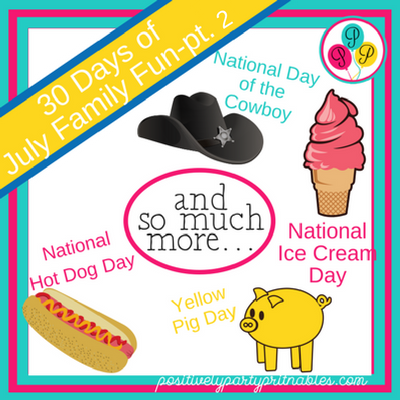 July family Fun Continues! The weather here in the northern hemisphere is getting pretty warm. Maybe you spend a lot of time at the pool, or in air-conditioning but….there are still many fun things you can do. 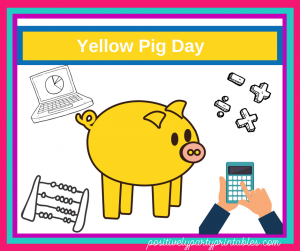 Find calendar activities for the beginning of the month here! July 15. National Tapioca Day. Tapioca is a starch that is extracted from the root of the cassava plant. It is from the northwest regions of Brazil. As it lacks nutritional value and food energy, it is used as a thickening agent in manufactured foods. I love tapioca pudding and want to share a couple of recipes with you: Old fashioned tapioca pudding and a super simple slow-cooker recipe. Many people like it served cold but try some warm—it is definitely a comfort food. For the younger and adventurous ones in your group, try the following-Bubble Tea and clear slime. Both will add some fun to your summer days. JUNE 16. National Ice Cream Day. How many licks does it take to eat a scoop of ice cream? What are the three most popular flavors of ice cream – in order? Do you want the recipe for Thomas Jefferson's loved ice cream? The answers and more here! Make your ice cream, or buy ice cream of your favorite flavors and make an ice cream sundae bar. Make your ice cream without an ice cream maker…. June 17 is a day for mathematicians. Hampshire College has a day full of activities for the summer high school students. To celebrate today, make or decorate a cake and cut it into 17 pieces and share and join those around the country in college — Brush up on your mathematical skills! Find tips on finding a great location, food, entertainment and presents here! June 19 is a great time to try new hot dog recipes. How about The Tiki Dog, The Frito Pie Dog, The French Onion Dog, The Monte Cristo Dog, the Nacho Dog, and more. 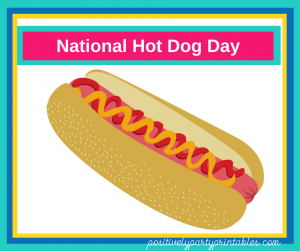 Several fast food chains and convenience stores across America are offering free or discounted hot dogs to their customers on this day. In the past Sonic, 7-11, Quick-Trip and Kangaroo Express have offered discounted Hot Dogs. Check with your local establishments to see if they are offering discounts today. June 20. There may be two Fortune Cookie Days. One of them is today, and the other is September 13. 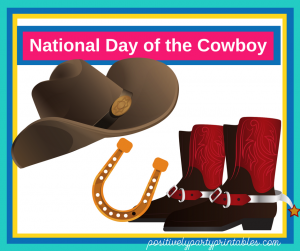 Celebrate both! The Fortune Cookie is most popular in the United States and may have originated in Japan, not China as many assume. So, even they are not from China, try making them at home. Homemade is almost always better. All you need to play Tug-of-War are some friends and rope. The longer the rope is, the more fun you will have. Divide the participants evenly and stand on either side of the rope. Find a spot on the ground to mark as the middle. Each team grabs the ropes. A bystander yells “GO, ” and the pulling begins. The objective is for one team to pull the other team over the mark on the ground. When the whole team has been pulled across the mark, the team pulling them across is the winner. This is a real sport in some parts of the world as seen here. 1. Live each day with honesty and courage. 2. Take pride in your work. Always do your best. 3. Stay curious. Study hard and learn all you can. 4. Do what has to be done and finish what you start. 7. Be clean in thought, word, deed, and dress. 8. Practice tolerance and understanding of others. 9. Be willing to stand up for what’s right. 10. Be an excellent steward of the land and its animals. On National Parents’ Day, we honor all parents do every day to raise up their children in a world that is constantly changing and challenging. 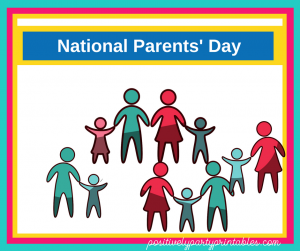 President Clinton established National Parents Day in 1994. It was created to support the role of parents in raising children. So today, spend time with your parents and call them if they are not close. If they are close, spend some time together doing family together activities. Start a memory book, make a meal together, create a new family tradition, plan a family activity calendar, or just read together. Sometimes, it's just the time spent together to create stronger bonds. Today is also Vanilla Ice Cream Day. 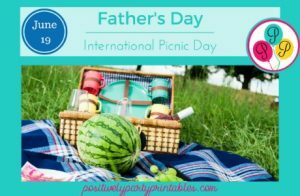 Get everyone together and have ice cream sundaes with all the fun fixings: Choose from the 74 fixings listed here or add Best Ice Cream Toppings or create your own. JULY 24. National Tell an Old Joke Day. There are knock-knock jokes, wordplay jokes, and just silly fun jokes. Frugal Fun for Boys and Baby Center have some great jokes for kids. The kids can pick their favorites and rehearse their delivery and have a family joke night. This is also Cousins Day. If you have cousins, give them a call if they are too far away to see in person. Have a relaxed, fun day with your family. You could even have a family stand-up comedy night with everyone sharing their new jokes. Hot Fudge Sundaes are my very favorite dessert in the world. When I have individual time with my adult children, it is often spent talking while eating a hot fudge sundae. When we talk about getting together, it usually means “Let's have Hot Fudge” meaning a Hot Fudge Sundae. It is a simple thing but still very special to us. This recipe is like the one my mom has used, (but she never wrote it down!) So I will share this from Amber of Crazy Little Things. Once the sauce is made, you can use her recipe for Hot Fudge Sundae Cupcakes for something special! July 26. Aunt and Uncles Day. A family support system is a treasure to all families. If we are fortunate enough to have family nearby, life can be so much easier. Need a babysitter? Family emergencies are often easier to handle with people to lend a hand and emotional support. Aunts and Uncles can be invaluable, that someone close that your child can go to for advice, aid, support, and fun. July 26 is a day to recognize those great aunts and uncles and the contribution they can make for those they love and love them back.